1. Who/what is the Carbon Tax Center? CTC is a 501(c)3 non-profit that since 2007 has given voice to Americans who believe that taxing carbon pollution — the primary greenhouse gas — is imperative to reduce global warming. Co-founders Charles Komanoff and Dan Rosenblum brought to CTC a combined six decades of experience in economics, law, public policy and social change. CTC educates and informs policymakers, journalists and other opinion leaders, grassroots activists and the public about the need for significant, rising and equitable taxes on carbon emissions from fossil fuels. Though Dan has moved on, Charles remains as CTC director. 2. Why are carbon taxes essential? The transformation of our fossil fuels-based energy system to reliance on energy efficiency, renewable energy and sustainable fuels won’t happen fast enough without carbon fees or taxes sending the appropriate persistent and rising price signals into every corner of the economy and every aspect of life. Or, in the words of Brookings economist (and carbon tax supporter) Adele Morris, “As long as burning dirt (i.e., fossil fuels) is the cheapest form of energy, that’s what we’ll do.” Conversely, raising fossil fuel prices with carbon taxes will motivate switches to clean energy across the economy by making it more economically rewarding to move to non-carbon fuels and energy efficiency. 3. How serious is the climate crisis? We agree with pioneering climate-scientist James Hansen that the continued buildup of greenhouse gases in Earth’s atmosphere has begun causing cataclysmic change in our planet’s climate and ecology. Denialists’ claims that global temperatures are receding are blatantly false; new records are set almost monthly, and both 2016 and 2015 smashed prior records (see graphic). Nor just sweltering summers but forest fires and die-off, drowned coastal regions, decimated food chains, spreading disease, economic devastation, warfare and massive migrations of humans and other species are all virtual certainties in the lifetimes of many people now living, unless the world makes sharp cuts in greenhouse gases. 4. How much of greenhouse gas emissions are from fossil fuel burning? For the U.S., carbon dioxide released by burning oil, coal and natural gas makes up 82% of total greenhouse gas emissions (weighted by climate-change impact), according to the U.S. Department of Energy. The remainder is methane (9%, from landfills, coal mines, oil and gas operations and agriculture); nitrous oxide (5%, from burning fossil fuels and from certain fertilizers); refrigerants and other “engineered” chemicals (2%); and carbon dioxide from other sources (2%). 5. What is the U.S. share of world greenhouse gas emissions from fossil fuel burning? The U.S. slipped behind China as the world’s largest emitter of carbon dioxide, the principal greenhouse gas, a decade ago. Nevertheless, the U.S. still accounts for nearly 20% of the world’s CO2 emissions from fuel-burning. Because Americans are less than 5% of world population, per capita we emit almost 5 times as much CO2 as the average non-American. 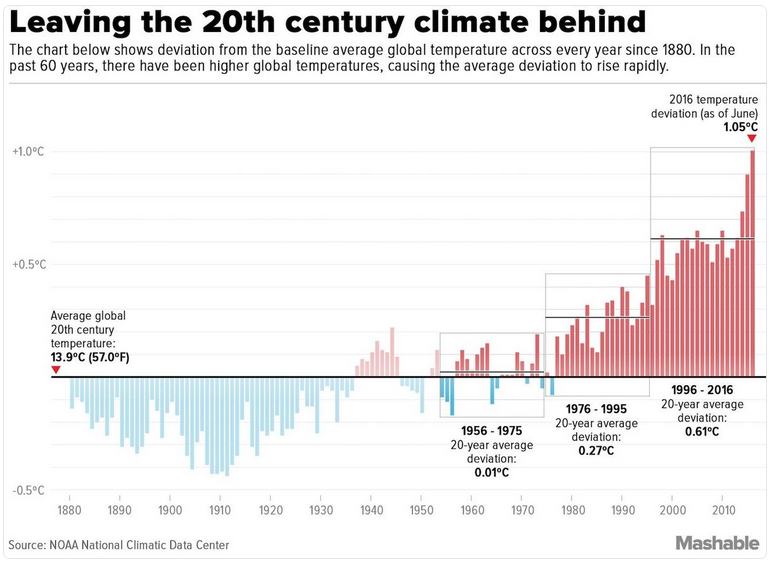 The historical disparity is even greater, and because CO2 molecules persist in Earth’s atmosphere for around a century, our past emissions are disproportionately responsible for climate change now and in the future. On any moral calculus, the United States bears a heavy responsibility to cut emissions massively and rapidly. 6. Why does CTC support carbon tax shifting? 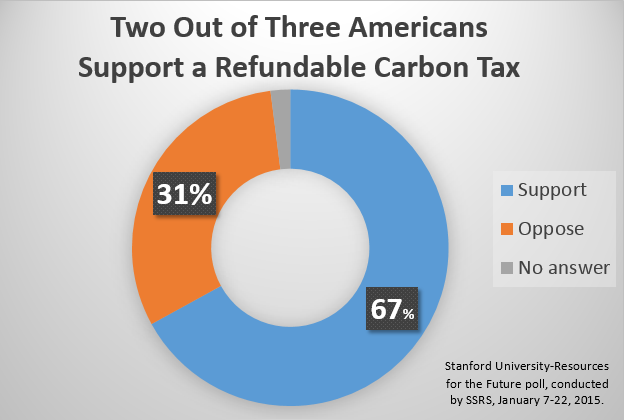 The potential carbon tax burden on low and moderate-income households can be averted by returning the tax proceeds to Americans. This can be done through periodic pro rata “dividends” or by reducing the tax burden of regressive taxes such as the federal payroll tax or state sales taxes (depending upon whether the tax is imposed at the federal or state level). Shifting the tax burden to pollution and pollution-generating activities will create powerful incentives to use less energy and emit less CO2 while simultaneously promoting tax equity and minimizing the impact of the carbon tax on those with lower incomes. 7. Why should we CTC support both carbon taxes and energy-efficiency standards? Energy standards have improved energy performance by forcing product design changes in critical sectors such as major appliances and U.S.-made automobiles, as we noted in one of our most popular blog posts. Standard-setting takes a long time, however. Moreover, standards tend to be static whereas energy use is ever-evolving. Combining carbon taxes with efficiency standards will achieve far more than the latter alone by motivating manufacturers and builders to proactively maximize energy efficiency while giving consumers ongoing incentives to make cost-effective choices valuing efficiency in shopping, traveling and purchase of homes and other durables. 8. Why not just subsidize renewables? 9. Why not just withdraw fossil fuel subsidies? Of course we should zero out tax breaks, lease loopholes and other giveaways to the fossil fuel industry, along with the bloated and unsupportable ethanol mandate. But the impact on U.S. fossil fuel use would barely be noticeable. Authoritative sources such as EarthTrack have placed the fossil fuel industry’s tax and fiscal subsidies at around $25 billion a year, a figure that pales beside the roughly $1,000 billion (one trillion dollars) paid annually for coal, oil and natural gas burned in the U.S. Do the math: withdrawing those subsidies would lead to at most a 2-3 percent rise in the market prices of fossil fuels — scant incentive to reduce their use and concomitant emissions of CO2. 10. Why not just let market forces lift fuel prices? Market signals are too volatile in the short term and too weak in the long term to provide the incentives needed to rewire the U.S. for energy efficiency and renewables. Moreover, high prices alone, whether due to geological depletion or plain old gouging, line the pockets (and magnify the political power) of the energy industry and ravage the poor and middle class. They’re even counter-productive, since high prices, absent a carbon tax, unleash production of CO2-intensive “extreme” fossil fuels from tar sands, mountaintop detonation, and fracking. Only carbon taxes combine market correctives with protecting American families and our environment. 11. Why not let technology remove carbon pollution from coal-fired smokestacks? Rather than take positions on competing technologies, CTC works to remedy the market failure that allows burning of gas, oil and coal without charging for the resultant climate damage. Thus, we neither favor nor oppose so-called “clean coal,” i.e., combustion of coal with carbon dioxide captured and sequestered from the atmosphere; though we’re not bullish on Carbon Capture and Storage in light of the considerable (~30-40%) oversizing of generating capacity and coal throughput required to process flue gas to safely remove 90% or more of the CO2. In any event, every serious carbon tax proposal has a provision to credit working CCS systems via a rebate or netback for CO2 demonstrably sequestered from release to the atmosphere. 12. Will a carbon tax lessen U.S. oil dependence? You bet. Petroleum products account for around 45% of U.S. CO2 emissions from burning fuels (coal and natural gas are responsible for roughly 25% and 30%, respectively), so a carbon tax stiff enough to cut down heavily on CO2 will necessarily put a big dent in oil consumption. According to our own modeling, Rep. Larson’s bill would, by its tenth year in effect, reduce U.S. use of petroleum by nearly 20% below “business-as-usual” levels (i.e., without a carbon tax or equivalent price on carbon emissions). 13. Would taxing carbon be regressive? Any flat tax is regressive, but the regressivity of a tax on carbon pollution could and should be minimized or even reversed by making sure a fair share of tax revenues flow to the less affluent. The key is that wealthier households use more energy, on average – they drive and fly more, have bigger (and sometimes multiple) houses, and buy more stuff that requires energy to manufacture and use. A majority of carbon tax revenues will come from families of above-average means, which creates a basis for “progressive tax-shifting”: transferring a portion of the tax burden from regressive taxes such as the payroll tax (at the federal level) and the sales tax (at the state level) onto pollution and pollution-generating activities. Another progressive approach is to rebate the carbon tax revenues equally to all U.S. residents — a national version of the Alaska Permanent Fund, which for decades has annually sent identical checks to all state residents from earnings on investments made with the state’s North Slope oil royalties. Because income and energy consumption are strongly correlated, most poorer households will get more back in rebates or tax savings than they pay out in the carbon tax. The Citizens Climate Lobby is the leading proponent of this “fee-and-dividend” approach. 14. How can impacts on poor families be lessened? Impacts of carbon taxes on poor families can be lessened by: 1) progressive tax-shifting as just described; 2) pro-rata distribution of the carbon tax revenues to every U.S. resident (also described above); and/or 3) to the extent necessary, funding programs designed to help poorer households use less energy driving and at home. See Offsetting a Carbon Tax’s Costs on Low-Income Households (Congressional Budget Office, 2012). 15. How much revenue will carbon taxes generate? A lot, if taxes on carbon pollution rise briskly enough to have the needed climate impacts. Rep. Larson’s bill would start modestly at $15 per ton of CO2. That $15 per ton CO2 tax would bring in $80 billion of revenue, which equates to around $250 per U.S. resident, or $1,000 for a family of four. (Thus, if carbon revenue are distributed as per capita “dividends,” that family receives $1,000. If that family uses less fossil fuel energy than average, their increased costs will be less than $1,000, so they’ll come out ahead.) Successive annual carbon tax increments adding $12.50 per ton will add to the annual revenue stream, though at a declining rate as CO2 emissions fall each year in response to the rising CO2 price. By the end of the tenth year, the annual revenue will be on the order of $440 billion. We estimate that this brisk rise in the cost of CO2 pollution will reduce U.S. emissions dramatically, by about 1/3. 16. How will carbon taxes be administered? The tax will be levied at the wholesale level of the fuel supply chain, as far upstream as practicable. Electric generators will pay the mandated carbon tax to their coal or natural gas suppliers, who will forward the payment to the government; the generators will pass along the tax to the retail electric utility which in turn will charge it to customers – to the extent that market conditions allow. Similarly for petroleum products (e.g., gasoline, jet fuel, heating oil), with government collecting the tax from refiners or importers of refined petroleum products, and the taxes passed on to oil wholesalers and eventually to retail customers. This approach will maximize accuracy and incentives and minimize paperwork and leakage. About 1,200 to 1,500 fossil fuel energy producers will pay carbon taxes. According to Jack Calder of EPA, whose paper “Administration of a U.S. Carbon Tax” forms Chapter 3 of “Implementing a US Carbon Tax: Challenges and Debates,” approximately 150 petroleum refineries, 500 – 800 coal producers (depending on the point of compliance) and about 500 natural gas distributors will be taxed. Gilbert Metcalf and David Weisbach offer more detail in The Design of a Carbon Tax (Harvard Environmental Law Rev, 2009). A January 2017 report from the U.S. Treasury’s Office of Tax Analysis, Methodology for Analyzing a Carbon Tax, is a superb (and mercifully brief, just 28 pages) guide to the nuts and bolts of administering a carbon tax. 17.Will carbon tax “dividends” be subject to federal income taxes? It is likely that the carbon dividends (periodic payouts to households or individuals under a fee-and-dividend system) will count as taxable income. But the additional federal revenue from the taxes received on the dividend income could be added back to the dividend pool being divvied up and returned to households, thus preserving revenue-neutrality. It is true that this will add a step or two to the Treasury’s bookkeeping; and that it would alter somewhat the distributive patterns from a pure (untaxed) dividend system. The net effect will probably make fee-and-dividend even more income-progressive, since wealthy individuals and households tend to pay a higher percentage of their gross income as taxes than non-wealthy taxpayers. 18. How will carbon taxes handle carbon sequestration? Plastics? Petrochemicals? Offsetting credit will be provided to the extent the carbon dioxide is actually sequestered, in order to eliminate any disincentive to sequestration. Releases of CO2 from converting fossil fuels to plastics or petrochemicals in non-combustion processes will be taxed at the same level as CO2 emitted in the production of energy or for transportation purposes. 19. Will a carbon tax apply to nuclear power? A carbon tax will only be imposed on the use or combustion of carbon and the resulting emission of carbon dioxide. A carbon tax would not be imposed directly on the generation of nuclear power, though of course it would apply to any CO2 released in mining, enriching and transporting uranium, in other uses ancillary to the generation of nuclear power (such as fuel used for back-up generation), and in storing radioactive wastes. 20. How high should carbon taxes go? How fast should they climb? While carbon taxes will need to be rise briskly to create the required price incentives, they will need to be phased in to give individuals and businesses the opportunity to adjust. There’s no magic formula or perfect number, but a tax that grows fast enough to reduce CO2 emissions by 1/3 within a decade probably offers a viable combination of meaningful incentive and opportunity for adaptation. The $15 per ton of CO2 “starter tax” mentioned earlier, equating to around 14 cents a gallon of gasoline, fits the lower end of that range. At least as important as the tax level is the commitment to keep raising the tax, preferably annually, so that energy-critical decisions, from car-buying (Hummer vs. Prius) to home-buying (exurb vs. transit-oriented community) to factory locating (highway interchange vs. rail line), are made with carbon-appropriate price signals. 21. Must carbon taxes be global to work? Though carbon taxes can be applied locally, nationally or globally, the eventual goal is a global tax. Not only is the climate crisis global in both scope and solution, but a global carbon tax will avert potential leakage by carbon emitters attempting to move their combustion of carbon from countries that tax carbon to those that don’t. U.S. carbon tax legislation should include border tax adjustments to help protect domestic industry from unfair competition and to tax imports of other nations until they enact their own taxes on carbon pollution. Still, let’s not make perfection the enemy of the good; carbon pollution should be taxed wherever possible. 22. Why a carbon tax instead of a cap-and-trade system? Carbon taxes will lend predictability to energy prices, whereas cap-and-trade systems will only exacerbate price volatility that discourages investments in carbon-reducing energy efficiency and carbon-replacing renewable energy. Carbon taxes can be implemented more quickly than complex permit-based cap-and-trade systems. Carbon taxes are transparent and easily understandable, making them more likely to elicit public support than opaque and complex cap-and-trade. Carbon taxes aren’t easily manipulable by special interests, whereas the complexity of cap-and-trade leaves it rife for exploitation by the financial industry. Carbon tax revenues can be more or less guaranteed and integrated into state or federal fiscal policy, owing to their predictability, whereas the price-volatility of cap-and-trade precludes its being counted on as a revenue source. 23. How responsive is energy demand to the price of fuels? These estimates are “long-run” elasticities, meaning that price rises take years to fully affect demand. Households and businesses can’t overnight adjust their stocks of energy-using equipment (cars, major appliances, office layouts, etc. ), nor can they instantly adapt location decisions that determine distances that people and goods travel. On the other hand, carbon taxes and the resulting relative rises in fossil fuel prices will induce reductions in carbon emission rates on the supply side. For example, higher coal prices due to carbon taxing will lead cost-minimizing power grids to more heavily dispatch lower-emitting natural gas power plants in the short run, and to switch increasingly to zero-carbon wind and solar generation over time. 24. What are the non-climate costs of using fossil fuels? Fossil fuels burden human beings, communities and nature with enormous environmental and social damages apart from destabilizing climate. Chief among them are “traditional” air pollution such as car and truck exhaust and smokestack emissions; destruction of land and water from extracting and transporting fuels; and the militarism, economic inequality and political authoritarianism that is endemic to extractive economies (e.g., Saudi Arabia, Nigeria, Indonesia). Many researchers believe the magnitude of these and other “indirect” costs exceeds the “market” prices paid for coal, oil and gas. 25. What are the ancillary benefits of taxing carbon? As the previous Q&A suggests, U.S. carbon taxes will deliver vast non-climate benefits by discouraging use of fossil fuels. These will range from better air quality and less strip-mining to reduced entanglement in the unstable and dangerous Middle East and a less powerful fossil fuel industry. Americans can also look forward to a slew of indirect benefits – for example, lighter road traffic arising from a decrease in vehicle-miles traveled, as families and businesses adapt to higher gasoline and diesel fuel prices by trimming their least essential trips and consolidating others. 26. Who favors carbon taxes? Carbon taxes are supported by a diverse group of opinion leaders, pundits, scientists and economists. The task now is to broaden and deepen support for taxing carbon among both the political elites and the grassroots – and to do so in the face of concerted opposition from fossil fuel interests determined to preserve (and increase!) their sales rather than watch their sector, and profits, shrink as the carbon tax steadily diminishes sales and use of coal, oil and gas. 27. How have past fuel tax efforts fared in the U.S.? Poorly. The idea of taxing energy to better reflect its full costs collides with Americans’ historical entitlement to cheap energy and the anti-tax ideology of the past 35 years, not to mention the political muscle of the fossil fuel industry. This triad helped kill the last big effort to tax energy — President Clinton’s Btu tax in 1993. Nevertheless, we’re optimistic that making the carbon tax revenue-neutral, with all revenue recycled via tax-shifting or returned via carbon tax dividends, can soften resistance. Indeed, as described in the next Q&A, polls now point to strong support for a revenue-neutral tax designed to combat climate change. 28. What does polling indicate about carbon taxes? Other results from the 2016 Gallup poll are equally striking. 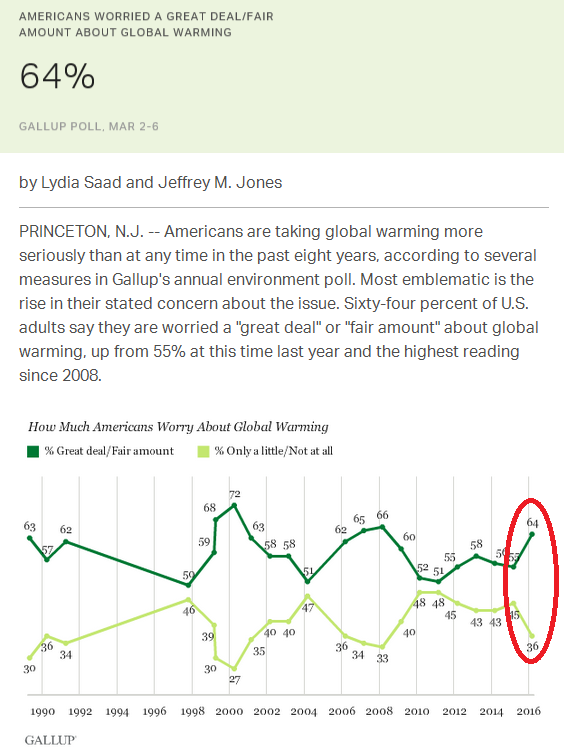 They show a record-high share of Americans stating that climate change poses a threat to them and their way of life; a record number agreeing that climate change is caused primarily by human activity; and climate concern climbing across the political spectrum. There’s more about these two polls as well as earlier ones on our page on opinion polling. 29. What will a carbon tax look like to me? On the one hand, just about everything requiring fossil fuels, from a drive in the country to imported produce, will cost more, with prices rising the most for activities or goods that use the most fossil fuels. But the upside is three-fold: (i) your tax reduction or dividend check will offset much, perhaps more than 100%, of those price increases; (ii) you’ll be able to minimize your tax bite by cutting down on fuel usage (e.g., shortening those country drives, buying locally-grown produce, purchasing “green power” from wind and solar cells); and (iii) Americans’ combined behavior changes in response to the carbon tax will go a long way toward protecting the climate and averting the cataclysmic consequences of unchecked global warming. 30. Who’s taxing carbon now? See our Where Carbon Is Taxed page. Or, download Sightline Institute’s excellent 2014 report, All the World’s Carbon Pricing Systems in One Animated Map, with maps tracing the institution (and, in at least one instance, Australia, the rescission) of carbon taxing worldwide, as well as carbon pricing administered via cap-and-trade programs. The Sightline report includes helpful tables, too. The most notable carbon tax in the Western Hemisphere remains that in British Columbia. Carbon dioxide emissions from that province, Canada’s third most populous, began to be taxed on July 1, 2008 at a rate of $10 (Canadian) per metric ton and were raised annually to reach the current rate of $30 per metric ton (which equates to just over 20 U.S. dollars per U.S. ton). (We assessed BC’s carbon tax in a December 2015 report.) Voters in Boulder (Colorado) passed a carbon tax referendum in 2006; while Boulder’s tax equates to just $7/ton and applies only to electricity, it nonetheless establishes an important precedent: the first climate-protecting tax ever levied in the United States. Citizens in Washington State and five other states are campaigning to enact statewide carbon taxes. 31. What’s the political strategy for winning carbon taxes? An effective campaign for carbon taxes must be both intellectually sound and politically palatable. The key point: Taxing climate pollution is economically and morally preferable to taxing productive activity such as work, savings or investment. Instead of discouraging productive effort, initiative and investment as other tax burdens do, a tax on carbon pollution raises the cost of harmful activity and thereby encourages efficiency and renewable energy. Revenues from carbon taxes can fund “dividends” to all U.S. residents or be used to reduce existing taxes, shifting tax burdens onto pollution and pollution-generating activities. Framing taxes on carbon pollution as an embodiment of the “polluter pays” principle unites interests as diverse as environmental-justice advocates, free-market conservatives and classical economists. Sound design of the revenue side of carbon tax legislation will also ensure that people of limited means, who use less energy than average, are made better off, not worse. 32. What can I do to advance carbon taxes? The big need now is to develop grassroots support for a carbon tax. Start talking about a tax on climate pollution at your local environmental, religious or civic group meetings. Subscribe to CTC’s occasional but timely emails by filling in the sign-up pop-up box on our home page. Join Citizens Climate Lobby, the vital and committed nationwide network of activists that is putting the revenue-neutral carbon tax known as “fee-and-dividend” (delightfully explained in CCL’s 2-minute video) on the policy map. And please donate to the Carbon Tax Center, via our on-line Donate page. It’s contributions from people like you that enable us to conduct research, work on advocacy, and share knowledge and hope on carbon taxing. Thank you.